- preparing for ABRSM exams; concerts for students each semester; trips together at festivals, masterclasses and concerts. I have a flutes to rent - for very young students Nuvo jFlutes and for others Yamaha flutes. Thanks to my own education and contact with the best flute Masters I'm trying to give to my students the best flute traditions! If you are ready to practice and progress fast I will be happy to help you. If you are interested, please contact me for more details or visit my Facebook Page - Brussels Flute Studio. 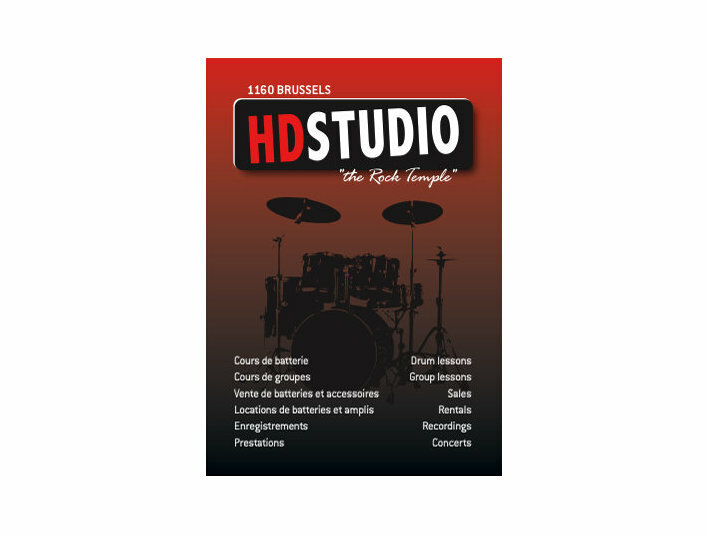 Drum Lessons Brussels Hd Studio 1160 Bxl.